I'm sorry you've been stuck with two out-of-town posts in a row, dear readers, but now is when professional gardeners travel...before the time comes for planting pansies and heavy lifting. I high-tailed it to the west coast last Sunday, where spring has most definitely already sprung. 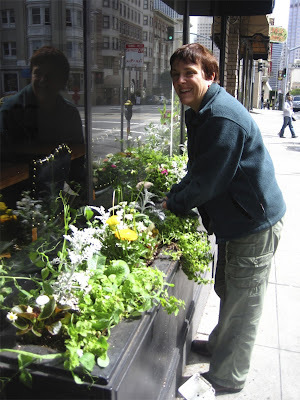 This morning, Cayce and I tweaked the window boxes in front of a truly wonderful restaurant in SanFran: Sons & Daughters. They have 25 feet of container display in front of the restaurant and Cayce keeps it beautiful all year long. She rotates plants in and out as needed, and I'm amazed it looks this good. 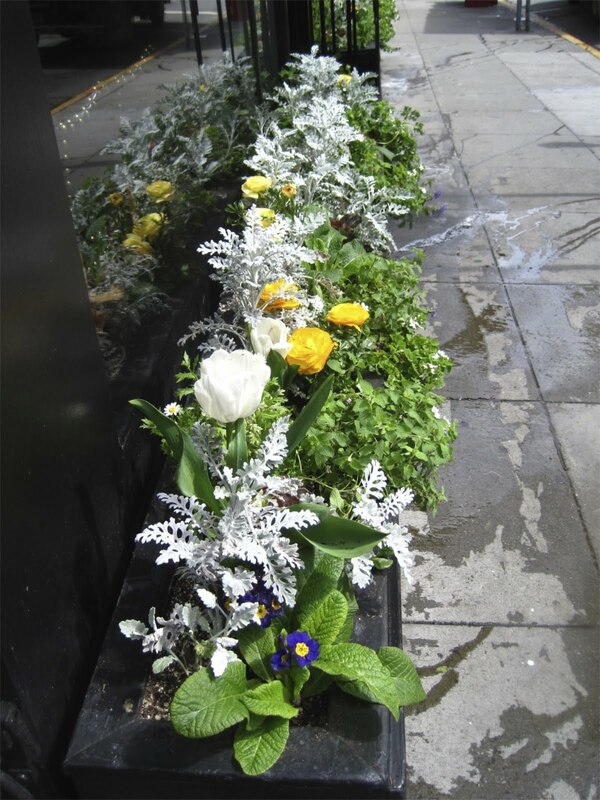 In NYC I'm afraid passers-by would pluck from the boxes; street plantings everywhere have to be tough. That's not all Cayce does for Sons & Daughters. Twice a week she harvests edible flowers, microgreens, herbs, and delicacies like baby radishes and white alpine strawberries, and brings them into the restaurant. When we ate there on Monday night (a most memorable meal), she pointed out her visible (borage flowers) and invisible (agastache infused oil) contributions. 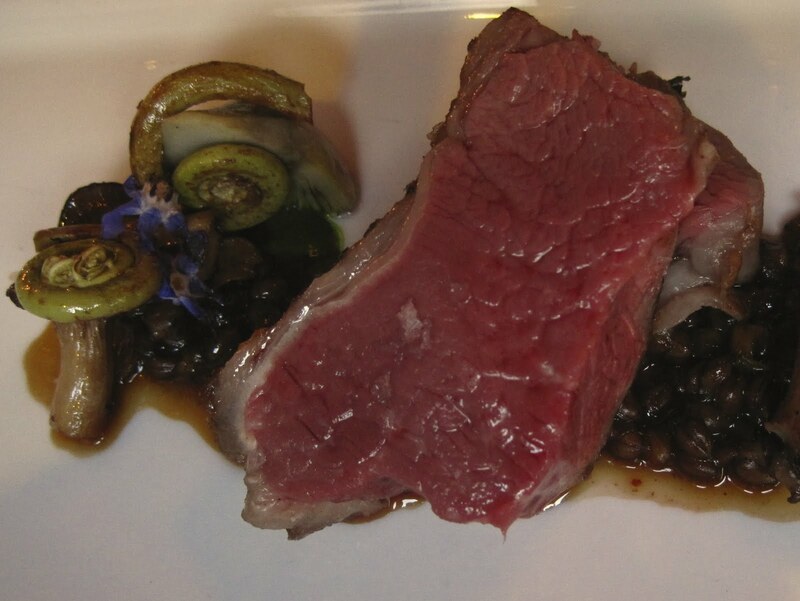 The lamb, by the way, was superb and the tasting menu with wine pairing is a parade of deliciousness that won't break the bank. 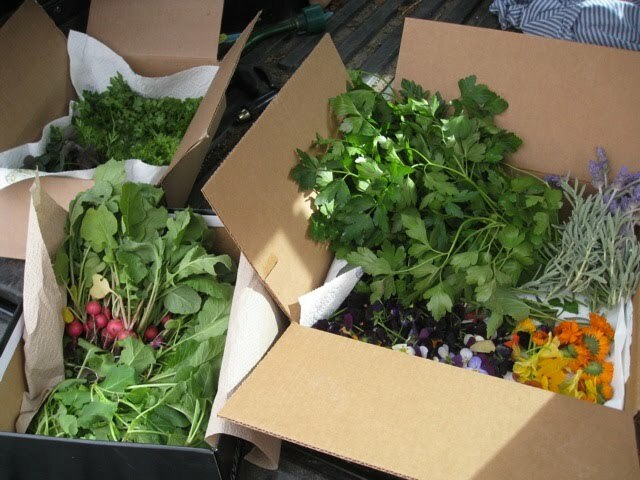 As we harvested calendula, pansies, arugula flowers, and cornflowers in the rain this morning, I realized how ready I am to get back to the gratifying work of planting. New York City, get ready. It's time. And the big pink flower is...? Edible? 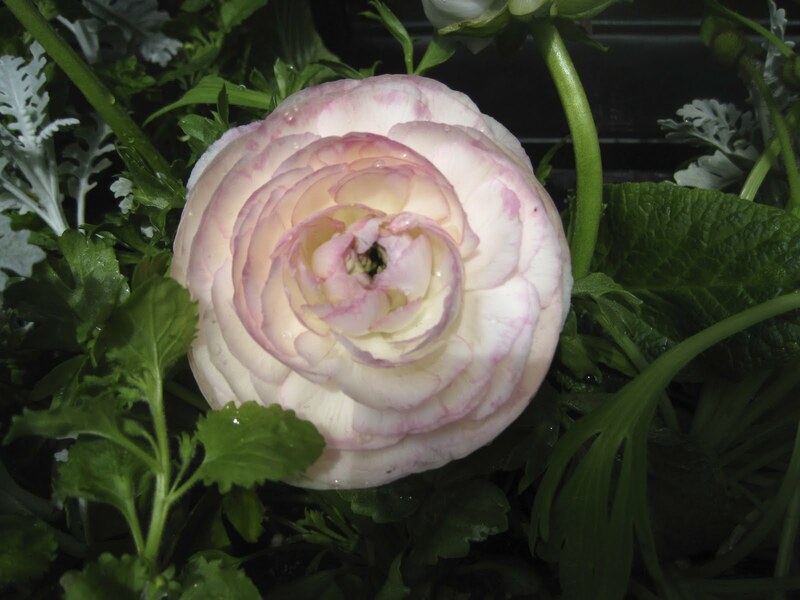 The big pink flower is a non-edible ranunculus. But cornflowers...yes! Centaurea cyanus, aka batchelor's button, aka corn flower. Edible. Yes, it's time! And you look very happy with your hands in the dirt. No apologies needed! Love all of the posts, NYC or out-of-town. Keep them coming. Thank you!